How to find a perfect hairstyle? Girls often ask this question when they’re gonna rock something in their lives. The choice of a new haircut is usually associated with dramatic changes in appearance. Indeed, a new hairstyle is able to bring fresh notes both to the way we look and to the way we live. Don’t you think? However, besides everything mentioned above, the right hairstyle can become an alternative to plastic surgery – like a tool that will visually correct a shape of the nose, ears, and the face oval as a whole. But how do you know what style is going to work personally for you? 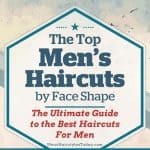 Before booking a salon appointment, the first thing you should do is to determine your face shape, the second – to study this article to find out exactly what to ask for. So… let’s start! Features. The oval is a face shape goals – it has ideal proportions: the widths of the forehead and cheekbones are equal, the chin lines are smooth, and the face height is one and a half times more that its width. What’s good? Almost any sort of hairstyle will look like a million bucks on a lucky owner of an oval face. Choose cuts of different lengths, with symmetry or asymmetrical, with bangs or without it, high or low, with or without parting, loose or upswept – it’s just anything you like goes. What’s bad? In general, there are no restrictions in choosing a hairstyle for an oval face. However, you’d better avoid very high hair-dos (they will make the oval seem too elongated), as well as bear in mind your hair structure and length. Celebrities. Such famous people as Ashley Greene, Julia Roberts, Keira Knightley, Megan Fox can boast of this “perfect” face shape. Features. A round shape is as long as it is wide, with the smoothly curved hairline and a round chin. Women with such face need to visually add the missing length, choosing an appropriate hairdo. What’s good? In order to bring the round face closer to an oval shape, try multi-layer haircuts and hairstyles with a volume on the crown. If your hair is naturally curly, it’s better to grow the hair longer instead of experimenting with short cuts. A high pony also visually elongates the face. You may try curls and waves, classic updos with thick side bangs, and long exaggerated bangs. What’s bad? Avoid one length, blunt cuts like the classic bob, framing the face with a thick, broad bang, horizontal lines, and central partings. Celebrities. Selena Gomez, Ginnifer Goodwin, Kirsten Dunst, Charlize Theron, and Miranda Kerr were born with the round face shape. Features. The forehead, cheekbones and chin share about the same narrow width, and a pointy chin. What’s good? For creating the illusion of width, you can try one of these hacks: a chin-length bob, brow-skimming, side swept bangs, all sorts of curly and wavy styles, layered and cascading asymmetrical cuts, careless spiky hairdos. What’s bad? You’d better do without long straight hairstyles, central partings, extra volume at the crown, and high updos. Celebrities. An oval face is a signature of Sarah Jessica Parker, Carrie Underwood, Liv Tyler. Features. Such face is very solid in shape: it features a strong and broad forehead, an angular jaw line, wide cheekbones, and a square-shaped chin. The main issue in choosing the right hairstyle is to find the one able to balance all the sharp angles. What’s good? It is desirable to pick asymmetrical cuts and oblique bangs, flowing curls framing the face oval, updos with light volume at the roots, long layered hairstyles with fringe that begin at the jawline, spiky pixies with side bangs. What’s bad? You shouldn’t get a haircut with sharp straight lines near the face in order to prevent enlarging it. Geometry in haircuts and edgy corners are also taboos. And again, avoid straight hair, too open forehead, super short length, thick fringe, symmetry, or combed back hair. Celebrities. Angelina Jolie’s face shape screams SQUARE, and the same applies to Cameron Diaz, Jessica Simpson, Paris Hilton, Olivia Wilde, Demi Moore, and Mena Alexandra Suvari. Features. A heart face shape features pointy, very narrow jaw line and a wide forehead. The cheekbones can be about the same width as the forehead or slightly wider. The right hairstyle is able to hide the visual discrepancy between the upper and lower parts of the face. What’s good? Try choppy layers that hit at the chin, various bangs (oblique, thick, straight, choppy) that won’t enlarge the forehead area, curls and waves styled from the face. Keep it in mind that your hairstyle should have the widest part in the area of cheekbones and a chin, and less volume atop. What’s bad? Give up slicked-back looks like a pony or a bun, shortened and wide bangs, and ultra-short boyish haircuts. Celebrities. You may follow the tricks by Reese Witherspoon, Scarlett Johansson, Taylor Swift, Jennifer Love Hewitt, Halle Berry in a battle with the heart face shape. Features. Narrow forehead and jawline, wide and high cheekbones, a pointy chin – that’s what makes a diamond face shape. What’s good? If you wanna have bangs, style it to cover the cheekbones. Try a high ponytail or another updo with an extra volume at the crown, an asymmetrical cut with soft waves, a chin-length bob with a diagonal or side parting. What’s bad? 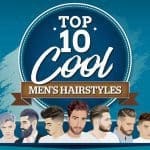 Stay away from thoroughly slicked back styles, don’t experiment with super short length – medium hair is your best, and avoid a straight central parting. Celebrities. Jennifer Aniston, Selma Blair Beitner, and Victoria Beckham definitely have a couple of “how-to-deal-with-diamond-face-shape” secrets. The Face Bar Verbier, get inspired.